Elementary school was where I first learned of Florida and California; the two places where the sun showed her face practically every day of the year. Oh, how I longed to be in a place where winter had no place to hang around. When I read in a magazine that all of the beautiful stars and celebrities lived Los Angeles, California, Florida became a blur. Fast forward to 1996, when the scholarship came by way of the University of California-Riverside, I quit my well-paying job, packed my bags, and headed west to begin my graduate studies. I lived in Riverside, only an hour away from Los Angeles — well … that drive depended on which stretch of the freeway you travelled and … well … what time you left to travel on that freeway. 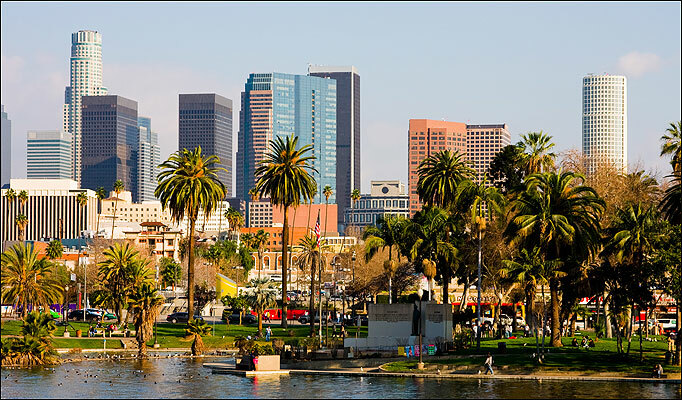 In any event, the city of my dreams, Los Angeles, California was just around the corner. Los Angeles is everything it markets itself to be, and the sprawling city showed off its pretty people, palm trees, beaches, Rodeo Drive, the film studios, and all of the usual suspects of sights and monuments peculiar to that city. It wasn’t until I read Devil in a Blue Dress by murder mystery writer Walter Mosley, however, that Los Angeles began to have a deeper broader meaning for me in terms of the history of African Americans and migration. Not just Los Angeles, but Watts, South Central, and Central Avenue—the Black Los Angeles. 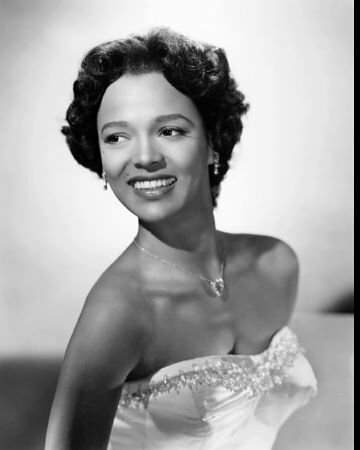 These are the places that housed Black Hollywood. 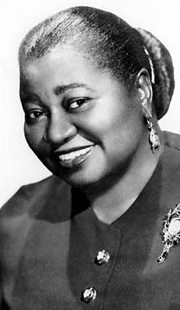 Hattie McDaniel, the first African American to win the Academy Award for Best Actress for her portrayal of Mammy in Gone with the Wind in 1940; also entertainer Dorothy Dandridge, the first African American to be nominated for Best Actress in 1954, for her portrayal of Carmen Jones in the film of the same name. Eddie “Rochester” Anderson, the Nicholas Brothers, tap dancers extraordinaire, and Lincoln Theodore Monroe Andrew Perry, better known by his stage name Stepin’ Fetchit graced the sidewalks of Black Los Angeles as well. This is the world Mosley’s main character Easy Rawlins lived, and African Americans who migrated from the south to California during the great migration of the 1930s and 40s were his neighbors. Prior to Devil in a Blue Dress, my knowledge of this great migration largely centered to the migration of African Americans from the agrarian south to the industrial north. Several 20th Century African American fiction writers created stories around this social current, and uncovered the raucous and chaotic world of the concrete jungles of Chicago, Philadelphia, Cleveland, Kansas City, and Harlem, New York, long considered to be the Black Manhattan, to name a few. Harlem Renaissance writer Claude McKay, for example, explored the day-to-day life of African Americans who migrated to Harlem, New York in his novel Home to Harlem; Richard Wright drew upon the plight of the family of Bigger Thomas on the south side of Chicago in his critically acclaimed novel Native Son; and, Ann Petry, in her novel The Street delved into the life of Lutie Johnson, a single mother trying to make her way through the streets of Harlem in a world dominated by men. In her novel, Jazz, Toni Morrison continues this trend when she sets her novel Jazz in the jazz scene of Harlem, taking us into the lives of families who migrated from the south. 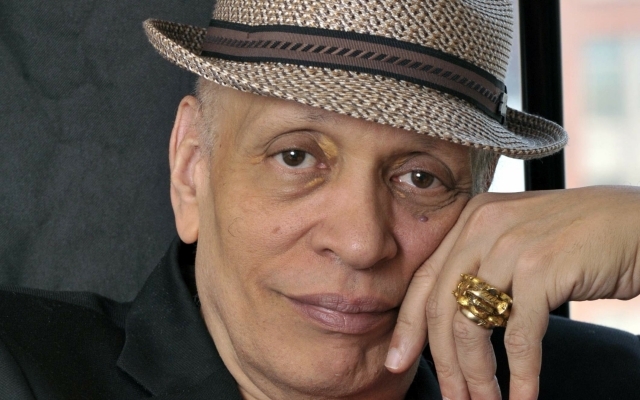 Walter Mosley illuminated for me the migration of African Americans from the south to the west. In Devil in a Blue Dress Mosley brings to relief the nuances of old Los Angeles and all of its beauty and dangers wrapped up in love and murder and dirty politics, and most interesting the issue of passing for white during a time when the country segregated by law its population. Devil in a Blue Dress is the first installment of the Easy Rawlins series. Easy, a native of Houston, Texas, moves to Watts after his service in World War II, and discovers racism on home shores still prevails as he is laid off from his job from an aircraft factory for no reason. 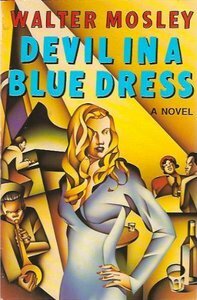 He is hard-pressed to find employment, until his friend Joppy, a boxer during World War II refers him to DeWitt Albright, a shady white private detective who employs Easy to find a young woman by the name of Daphne Monet or the Devil in the Blue Dress. Now, I want to pause here to make mention to something else the novel did for me: Devil in a Blue Dress facilitated my understanding of what house and home and the caretaking of them meant to my parents. Easy decides to take the job offer from DeWitt Albright because he needs the money to pay the mortgage on his house, and his house serves as his sanctuary from a hard and cruel world. “I drove back to my house thinking about money and how much I needed to have some. I loved going home. Maybe it was that I was raised on a sharecropper’s farm or that I never owned anything until I bought that house, but I loved my little home. There was an apple tree and an avocado in the front yard, surrounded by thick St. Augustine grass. At the side of the house I had a pomegranate tree that bore than thirty fruit every season and a banana tree that never produced a thing. There were dahlias and wild roses in beds around the fence and African Violets that I kept in a big jar on the front porch. Yes, Devil in a Blue Dress gave me greater understanding if not a reverence for a nimiety of histories and images. Though alluded to in the novel, Black Hollywood was alive and well in Mosley’s setting in the bustling Central Avenue of the 1940s and 1950s. Central Avenue was the hub of Los Angeles Black Culture, and Black celebrities contributed to the vitality and joie de vivre of that place. And though Mosley moves Easy Rawlins through the multi-ethnic neighborhoods of Los Angeles, south Central, Watts, and the hustle bustle of Central Avenue were the worlds where Easy Rawlins lived. He cherished his little humble abode, and Easy tells the reader that houses are more than just shelters; they are the holy temples that provide refuge and safe havens from the whirlwind of life; and, when we love them, we will go to great lengths to protect them.